By 1880, the crimes of twenty-five year-old Australian outlaw Ned Kelly had escalated from bank robbing and distributing funds to the poor to gunfights and police killings. He and his gang of bushrangers — escaped convicts with the survival skills to hide in the outback — roamed rural Victoria, both terrorizing and inspiring settlers. At the climax of their rampage, Kelly’s myth went supernova when he made a suit of armour out of iron plough parts and wore it to what would be his last siege. Still, Ned was shot by police, captured and eventually hanged. 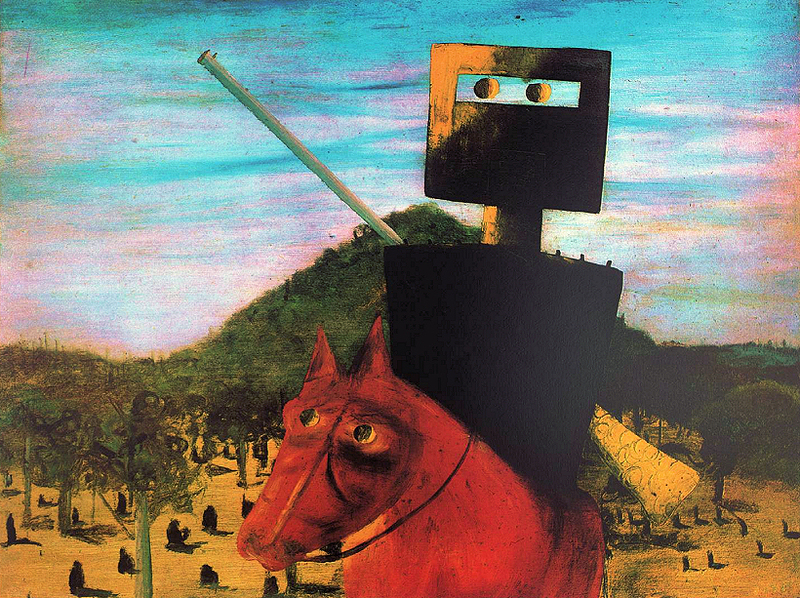 In 1942, twenty-five year-old painter Sidney Nolan was living at an artist’s colony in suburban Melbourne. Heide, as the compound was known, was a sprawling former dairy farm now home to art collectors John and Sunday Reed. The Reeds and their artist guests lived together in an open tangle of creative encouragement and love affairs, growing veggies, improving the property and dreaming together of developing a unique Australian modernism. Sidney, for his part, wanted to express in painting his struggle to fit into the world. The residents of Heide worked on an avant garde literary magazine called Angry Penguins and borrowed the name for their new art movement. The magazine’s editor, Max Harris, invented a poet alter ego for a little creative elbow room. 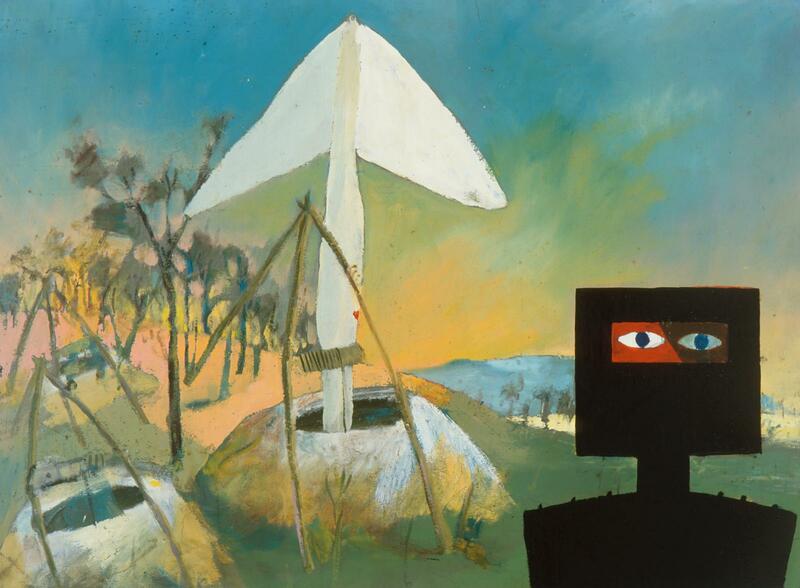 “It made me take the risk of putting against the Australian bush an utterly strange object,” Sidney said of Max’s “hoax” poems, which streamed with abstract imagery. Sidney began what would become a lifelong series of historical paintings recounting Ned’s outlaw misadventures in the outback. In his devotion to modernism, he painted Ned’s homemade armour as a silhouetted, cubist form dotted like an alien with primitive eyeballs. With repetition and scale, Sidney and his Ned paintings were elevated to a national symbol of irreverent, destiny-chasing individualism. Happy New Year from all of us at The Painter’s Keys. Wonderful article. Thanks for bringing to light this very contemporary work. How wonderful the legend goes on, reminding us to look back and reflect on our own life’s high way. I truly loved it , Thank you so much, and happy New Years to you and yours. The outlaw- the outcast- the outsider… maybe even after nuclear annihilation there will still be an artist’s collective in the Australian outback… whether or not it survives an upcoming nuclear winter remains to be seen. Interesting robin hood story. Great paintings. Hard to hope for the best while simultaneously fearing the worst. 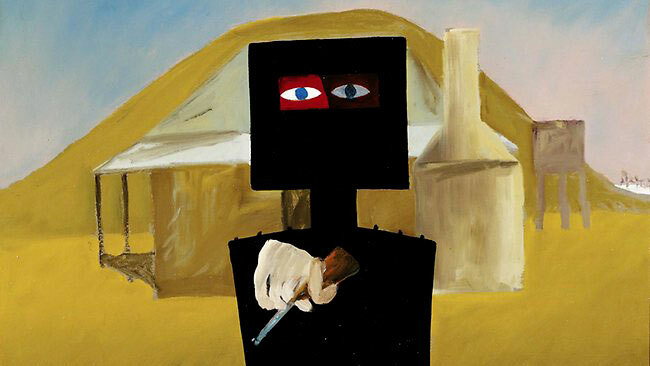 I read books on outlaw Ned Kelly to prepare for my walks in Australia this past summer. 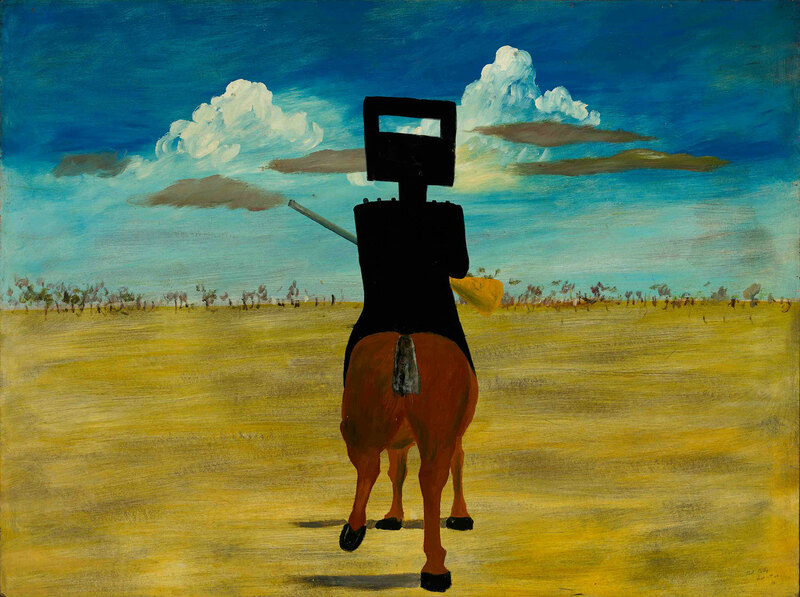 I also spent a number of hours in front of Sidney Nolan’s paintings while there , trying to absorb his creative communication skills in paint in the stories of Ned Kelly displayed on walls rather than in books. As an emerging artist I continue to search for the way to create a fascinating story in paint and on canvas. 2017 is a new year – perhaps this will be the year to discover the stories I want to tell…. Wishing everyone at Painters Keys a wonderful and successful 2017. What a great, inspiring story. Thank you, Sara! So happy to learn about an artist and art movements that I have never heard of before! thanks Sara for sharing different part of the world with us all. Wonderful articles year along. Thanks and Happy New Year to you all….. 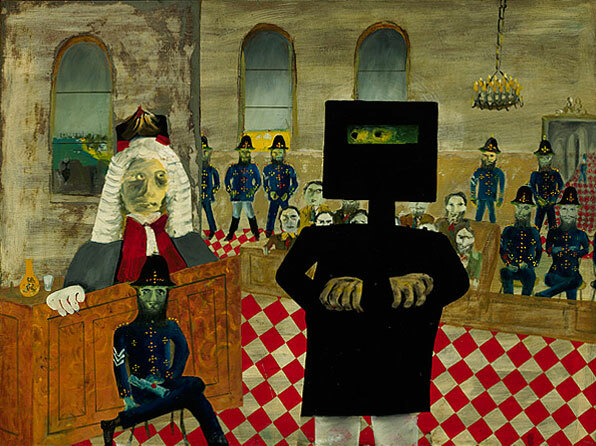 Interesting images, very interesting approach to Ned Kelly as both a historical figure and an icon of Australian culture. Thanks, The Painter’s Keys continues to be a great source of inspiration, knowledge and the joys of being in the art life. Best New Years ever in Melbourne! This is such a terrific city for art, it makes me want to move here. Big studios! Great food! World class museums!